Henna, whether used medicinally or in celebration, has existed for centuries. More recently, tatto artists can be found creating body art at birthday parties, fairs, festivals and other special events. KidsParties.Party features highly-skilled artisans in New Jersey that specialize in working with this plant-based cosmetic. Visit the bottom of the page to learn the fascianting history of this artform. While henna artists are popular entertainers for events in New Jersey, henna as an art form has a rich and storied history. With roots in the Middle East, it has been used in celebrations and events for thousands of years. Historians believe that Cleopatra, the queen of Egypt herself, used it as part of her beauty ritual. However, since henna is relatively inexpensive to produce, the poor have also used it in lieu of jewelry. Henna, which comes from a flowery plant, is created by grinding the leaves into a fine powder, which is then turned into paste. From there, it can be applied to the skin, leaving behind a reddish-brown stain, though hue depends on how long it is left on. It can also be used as a dye for fabrics. Traditionally, henna has been utilized for its medicinal and restorative purposes, but it is also used during birthday parties and events. In India, for example, brides use it during a special nuptial ceremony called mendhi night. The evening before the wedding, the bride and her family and friends spend the night singing, dancing, playing games and adorning their bodies with beautiful patterns, shapes and designs. 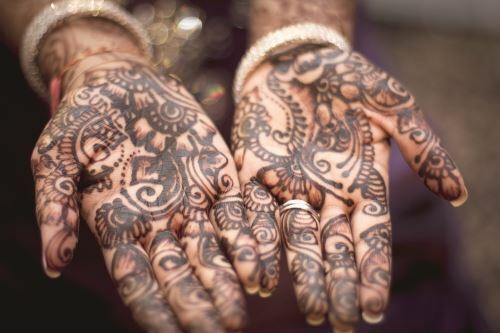 Western culture has caught on to this gorgeous body art, which is why henna tattoo artists can be found offering their services at fairs, festivals and birthday parties. Have you gotten painted by one of the artists listed on KidsParties.Party? Comment a photo of their artwork on their details page. Are you a henna tattoo artist? 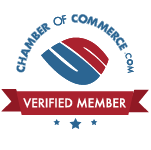 Get listed today! Register for an account to get started. We have a new innovative tool that will allow you to create your own birthday card and party invites! Start with any of our themed templates, or create one entirely on your own! You can even find the perfect birthday message for your card here! We have dedicated time solely to create tailor-made birthday wishes for your little girl or your son.